A low profile shoe for off-trail terrain and short distance racing. The Hoka Evo Jawz is pretty much the anti-Hoka. Long famous for their maximally cushioned shoes that revolutionized the running shoe market, the Evo Jawz is their first trail specific model that implements a "normal" amount of foam underfoot. This shoe is far and away the lightest in this review and also sports very aggressive 6mm lugs that give it incredible traction over all types and varieties of terrain. 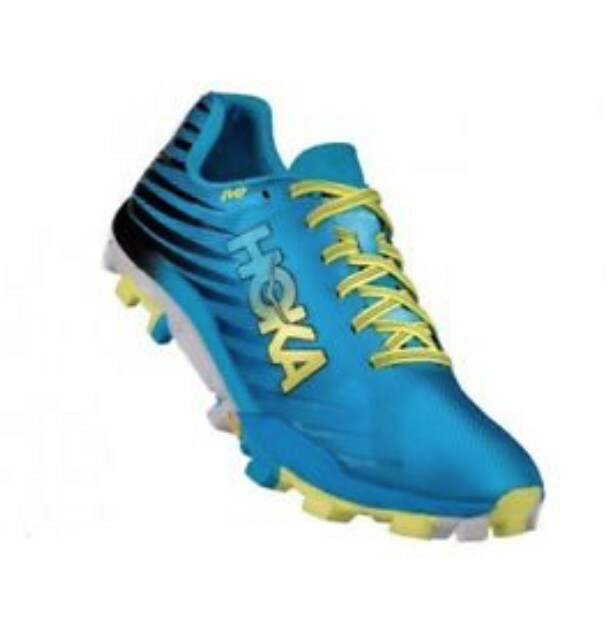 In contrast to the majority of Hoka shoes, it has very little underfoot protection and is somewhat of a specialty high-end racing shoe, or for conditions or adventures where insane traction is a must. Since their inception, Hoka has really only made shoes with their signature thick layer of EVA foam padding underfoot. With the Evo Jawz they completely break that mold, succeeding in their first effort to produce a low-to-the-ground, lightweight shoe that is reminiscent of a racing flat. With a low 3mm heel-toe drop, only 20mm of underfoot foam cushioning, and sharp square lugs on the outsole, you may feel as if you have stepped into a pair of track shoes when you put them on. In many ways, they are similar to other lightweight shoes designed for fast running like the Scarpa Spin or even our Top Pick for Traction, the Inov-8 Roclite 290. Unlike the high-mileage ultra machines that dominate Hoka's trail shoe lineup, we found this one to be best for short days at an increased tempo, and love how they thrive on off-trail terrain like steep mountains and sloppy mud. The Hoka Evo Jawz are a very light, thin, minimalist shoe that is nothing like what you would expect from a shoe with Hoka printed on the side of it. They do not have the heavily cushioned ride most would expect. This shoe is one of the lowest scorers when it comes to foot protection, a major reason why we didn't take it out for many long runs. Like all Hokas, the midsole is made up of EVA foam and does not have any sort of rock plate to help absorb impacts from sharp objects. Unlike our Top Pick for Maximum Cushioning, the Hoka Speedgoat 2, the Evo Jawz has a minimal amount of foam between your foot and the ground, a fact that will likely please Hoka's sponsored athletes but not the plethora of longtime Hoka faithful. This shoe is flexible and one can feel nearly any stone or pebble, no matter how small, when one lands on it. The toe bumper is nothing more than a tiny piece of outsole wrapped up over the toe, and likewise the upper itself is a single thin layer of fabric that offers little in the way of foot protection. In terms of foot protection it was right in line with the amount offered by the Altra Superior 3.5, and we awarded 4 points. Descending a section of sharp, steep rocky trail to finish a couple day backpacking and running trip. The Evo Jawz on our feet were some of the least protective shoes in this review, better for short distances where your feet taking on a ton of abuse is unlikely. The outsole of this shoe is made with Vibram Megagrip compound and features many well spaced and super deep lugs that remind us of sports cleats. 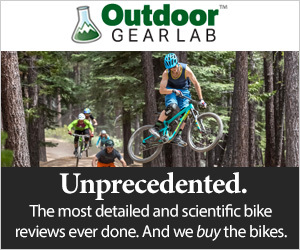 In our testing, these cleats did an amazing job gripping soft surfaces such as dirt, mud, alpine tundra, and even snow, but offer little in the way of surface area for sticking to rock. Since grip on rock is usually friction dependent, and more surface area means more friction, this wasn't actually a surprise to us. Like most Hokas, the sole of this shoe has many cut out areas where the underlying foam is exposed, but thankfully despite the cutouts, the rubber is all one solid piece, rather than many smaller glued on pieces that can tear off easily. The Inov-8 Roclite 290 has that most similar lug pattern, although we found the rubber on that shoe to grip rock a bit better. The outsole of the Evo Jawz looks a lot like athletic cleats. These lugs are very good at gripping soft terrain like dirt and grass. You can also see the large amounts of foam exposed on the bottom of the shoe, making it not super protective. This shoe has roughly 20mm of underfoot stack height, which is pretty low to the ground in comparison to the other shoes in this review. We found we had very little propensity to roll an ankle when side-hilling in these shoes, and found them to be pretty darn stable overall. However, one minor complaint is that the shoe does not have a system in place to hug the foot firmly in place, like we have seen and loved in the New Balance Summit Unknown, beyond just the single layer upper material. As such we had a hard time securing a super snug fit, and our feet often slipped about just slightly, especially on steep hills. Testing the long range applicability of the Jawz on an overnight backpacking and running trip in the Uncompaghre Wilderness of Colorado. With their super low ride and minimal stack height, we found the Evo Jawz to be very stable on uneven cross country terrain like this alpine tundra. There is no arguing that this is a comfortable shoe with little to complain about. We found the fit to be a tad on the narrow side, similar to the way that the other Hokas are fitting these days. The length seemed about normal to us if not slightly short, so some people may need to consider sizing up half a size. The laces do a good job of hugging the foot quite tightly over the top, and the upper material is thin, minimally padded, and not super breathable. In our water bucket test, this model absorbs very little water, but also doesn't do a great job of quickly shedding the water that it does soak in. We also experienced a lot of color dye bleeding out of the shoe, staining the skin of our feet for a couple of days, even after showers. Other online reviewers have commented that the dye running has ruined light colored socks, so beware of that! We consider this shoe to be in line with the comfort offered by our Best Overall shoe, the Salomon S/Lab Ultra. Showing the inside of the Jawz which is made of a single layer of thin material and is very comfortable for the foot. Notice also the very thin brushed synthetic tongue material and the comfortable padding around the ankle. At a mere 16.0 ounces per pair for size 11, these are far and away the lightest shoes in this review. For comparison, the second closest is the Scarpa Spin, which are three ounces heavier per pair. They feel really light while running, a huge bonus for those who really want to push the speed envelope. The scale doesn't lie! Eight ounces each is one super light shoe! Besides weight, this shoe's strongest attribute is its sensitivity. It feels thinner to us underfoot than even the Topo Athletic Runventure 2 or the Spin, but worth noting is that on even surfaces the very deep lugs add a fair amount of cushioning and spring to the stride. Only on uneven surfaces where objects land in between the lugs is the sensitivity especially noticed. This shoe is ideal for your very best effort over shorter distances, whether that means a trail race or a speed work training day. It is also a great shoe for off-trail missions like peak bagging because it grips so well to grass, snow, and steep dirt. Many people seem to enjoy using it for obstacle course races as well, although we didn't test it in this capacity. The very light Jawz are perfect for uphill running, or for running your fastest on race day. We also enjoyed them for quicker tempo training days. These shoes retail for $130, making them rather expensive for a model with limited uses. They do perform well, so if their best uses fit your goals, they likely present good value. Most people, however, would be encouraged to look at more traditional trail running shoes. Springtime running on newly dry trails in the San Juan Mountains, this is part of the Perimeter Trail loop, a pleasant seven mile trail around Ouray that is a perfect distance for the light and fast Evo Jawz. The Hoka Evo Jawz is a unique, low drop, super light shoe that is remarkable for its extraordinary sensitivity and fantastic traction. It is one of the least protective shoes in this review and fits in the exact opposite end of the spectrum from nearly every other Hoka shoe we have ever seen. For those who want to run their fastest on gnarly and uneven terrain, we suggest you check them out.